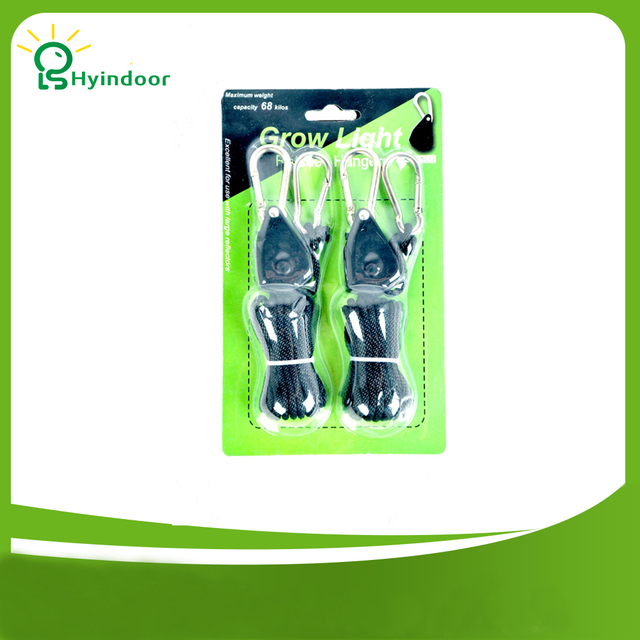 Grow Light Rope Ratchet with Heavy Duty Reflector Hanger. 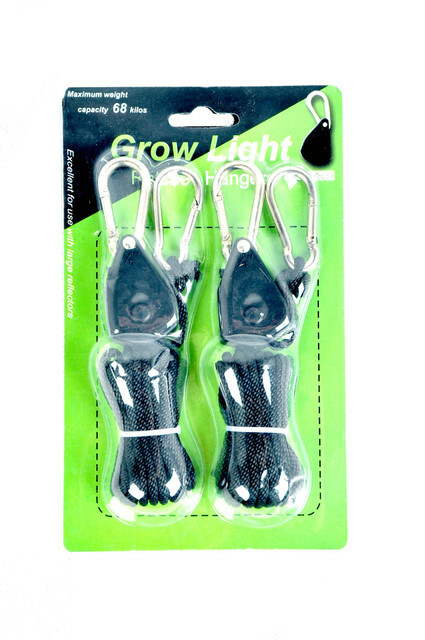 Hang your Led lights or other hydroponic accessories with ease. Comes with free shipping and a 2 year warranty. To use the ratchet rope pull the side rope to adjust your item up, then push to lock in place, and push to release or lower your item. A must have extra for any operation.